I write this on a train to New York City, after a whirlwind half-weekend in the nation’s capital a/k/a Chocolate City. My time spent in DC is always edifying — good for my soul. Monday, I attended the opening day of what I expect will be a history making event – the Take Back the American Dream Conference 2011, sponsored by the Campaign for America’s Future and the Institute for America’s Future. Also had the privilege of quality time and rich conversation with new friend Andy Shallal, owner of the beloved Busboys and Poets community gathering place named in honor of poet Langston Hughes, and an old friend Mitsi Sellers, who has been drumming for justice through her work in international development since we graduated from divinity school several years ago. Virtually, I’ve been plugged into my colleagues and comrades here at IISC, through the Game Changers Salon listerve and cyberspace (does anyone call it that anymore?) – who are tracking, bearing witness to, supporting and participating in the #Occupy protests —- mainly the ones in Wall Street and in Boston. As a social change agent and capacity builder focusing on collaboration, process design and leadership development – these are intriguing and auspicious days indeed. Much of the mainstream and social media conversations have raised curious wonder about the emergent, decentralized nature of the protests versus a more traditional demands-focused, organizing approach. Other conversations have hovered around the lack of people of color in these Occupy Wall Street/Boston protests. At the Conference, I also made a similar observation on both counts. Thankfully, IMHO, there was in fact a refreshing diversity (of all kinds) among Conference attendees. However, during that very wonderful moment Monday when a wonderfully diverse array of 25 leaders from progressive constituencies marched across the stage in solidarity – one by one publicly pledging their support for the newly minted meta-frame of the “Take Back the American Dream movement” – I did note the conspicuous absence of black identified social justice organizations, and especially the faith-based and religious organizations/constituencies. As an example, how is it that Rev. Al’s National Action Network could be hosting a national rally in D. C. next week for “Jobs and Justice” one week from now — and NAN not be a part predominant presence in this Take Back movement? I really dont know — especially as I was not at the entire Conference. Either way, this is something that is a larger reality and challenge for all of us working for justice, and still waffling on race, in this movement building quest. I want honest conversation and analysis on all of this so that we can learn and grow from and through this for the sake of the justice and the change we seek. I know enough about organizing to know that things are not always as they seem – and I will give the Conference the benefit of the doubt and believe that they did this kind of outreach to obvious allies (NAACP, the National Urban League, National Black Council of Churches, etc.) was done. And if so, why would those organizations not step into this opportunity to rep black voices and communities into this burgeoning contemporary movement to hold America to its democratic and economic opportunity ideals? Another question to ask: black folks — how are we ensuring that our communities voices shape this Take Back the Dream space and #Occupy moment? I know smaller group and grassroots and grasstops folks are engaged already — Im particularly asking about our mainline institutions and “leaders”. I was not able to make the rest of the conference, and Im sure Van and conference organizers made the effort. Its a no brainer. And, if efforts were made and not received , my hunch would be that it is for lack of – strong and trusted — relationships, networks — of sufficient strength and trust between people to align to create the movement and the future that we all want. That, friends, is still a challenge for our movement….48 years after the Dream speech in DC that August. And yesterday, as most mornings, I was listening to the The Tom Joyner Morning Show — a beloved source of news, information and edutainment for millions of black Americans, and for me. Activist journalist Roland Martin interviewed hip hop mogul Russell Simmons regarding the #OccupyWallStreet protests, then a later Tom and the crew – commented and joked about how it didn’t seem that the protesters had clear goals and of the “white women drummers” down at Wall Street. “There have to be goals” – they stated — as there were during the days of Dr. King (Tom sharing that the goal of the CRM was the Civil Rights Act legislation). While legislation as the goal of what has origins as the Southern Freedom Movement is arguable, the interchange reminded me of what I often see , as a post CRM black woman from a “traditional” black background working for justice as a Generation Xer – that my peeps are often late to catch on to and be exposed to the latest ideas, language and tools of contemporary movement building that that our white allies (many with whom I interface with though my capacity building work) live, breathe and have access to everyday. Like network theory and emergence. Like systemic thinking and structural analysis. It’s a paradox that comes up all the time in my mind as a regular (and privileged) black working across these lines — on one level black folks have always been and certainly still are the innovators of social and cultural tastes, justice movements and shifts; on another, we are often absent or not claiming space in the conversations with other allies who are wrestling with some the same battles and aspirations. At the Conference, I could palpably feel the creative tension between an old-school, coalition-based, identity-based politics approach and a beyond-party-politics, networked, sustainability-seeking one. This crossroads up for all of us who strive for social justice in this country, and globally as well — not only blacks in the U.S.. That’s why I am so especially appreciative and proud of Van Jones – with his black man self — seizing this teachable moment to advocate for a networked, decentralized, collaborative intentionality as the mark of this would-be social justice movement in an American Autumn. Am hoping our networks through this blog space can enrich these admittedly incomplete musings. 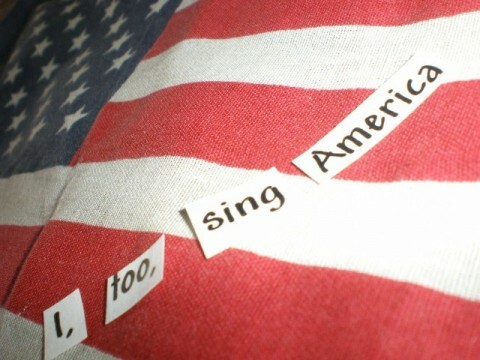 Though struggling for the melody in it all, I, too, sing America. With your two cents…please also sing, Choir! Sekou- check out the protests firsthand. It’s not the heat of media coverage. Those folks are there to stay! I just came back from it and it’s quite remarkable. It’s bottom up. It’s globally connected. It’s diverse and I do believe it is sustainable. We will see some changes ahead from this. Again, go soon, show some support to them and check it out! Specifics have their place , but a catalyst for broad foundational shifts in the direction of our country may have more systemic impact . I agree: we shall see. History is being made. I’m convinced. True enough. Something genuine is happening and traditional organizations are having a hard time figuring out how to deal with it.